Our daily needs are increasing with time. Our life does not complete without making a call or by sending SMS, and definitely, our life revolves around the internet. Telecom companies provide different network connection through which users can meet their needs of call, message, and net. People always go for the best possible solution for their all requirements. In this fast world, everyone is trying to be at the top so as different cellular companies. 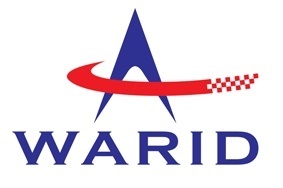 Among all the cellular companies Warid is the best choice for those customers who want to get the full benefit of all services at minimal cost. The call rates set by Warid are cheap and unbelievable on all networks in Pakistan. It gives you a full range of prepaid as well as postpaid packages so you can stay in touch with everyone. Warid’s new offer “Power Pack Bundle” is the cocktail of all combined benefits. It gives you the advantage of calling, sending SMS and web surfing at the lowest rates for a whole day. You can now enjoy all the three services, I.e., talk time, messages and internet by subscribing to one package. Warid has tried to give all possible facilities in Power Pack Bundle Offer at affordable rates. Let’s have a glance at the complete detail of power pack bundle offer by Warid. If you want to enjoy all services in one bundle at a reasonable cost, then Warid is here to help you. Enjoy unlimited talking, unlimited chat on messages and unlimited surfing on the web at just Rs.4.99 + tax. Charges are inclusive of taxes. The subscription method to Warid packages is always convenient. Type “P” and send this message to 7777, by following this process you can quickly activate the Power Pack Offer. You will have the advantage of all these services through one package. Power Pack is an all in one bundle through which you can avail these services. 5 free minutes of calling from Warid to Warid. 100 SMS of all local networks in Pakistan. 5Mbs of data volume will also be provided. Only prepaid customers can subscribe to this offer. Free calling minutes are only for Warid to Warid. Provided SMS are for all local networks. Charges for sending SMS to 7777 is Rs.1 + tax. The offer will automatically expire after 24 hours. All the charges are inclusive of all government taxes including 19.5% Federal excise duty. Always use the SIM that is registered in your name and not let others use you SIM – PTA. Warid always introduces incredible packages for their customers, so now spend less and get more from a network that has best packages among other network providers. If you are in wait for a complete package from Warid, then Power Pack Offer is all you need. Just Pick up your phone and send SMS to 7777 to grab this opportunity before it’s too late.